Esoteric Recordings is proud to announce the release of a new re-mastered four disc deluxe expanded boxed set limited edition (comprising 3 CDs and a DVD) of FUTURAMA the legendary 1975 album by BE-BOP DELUXE. 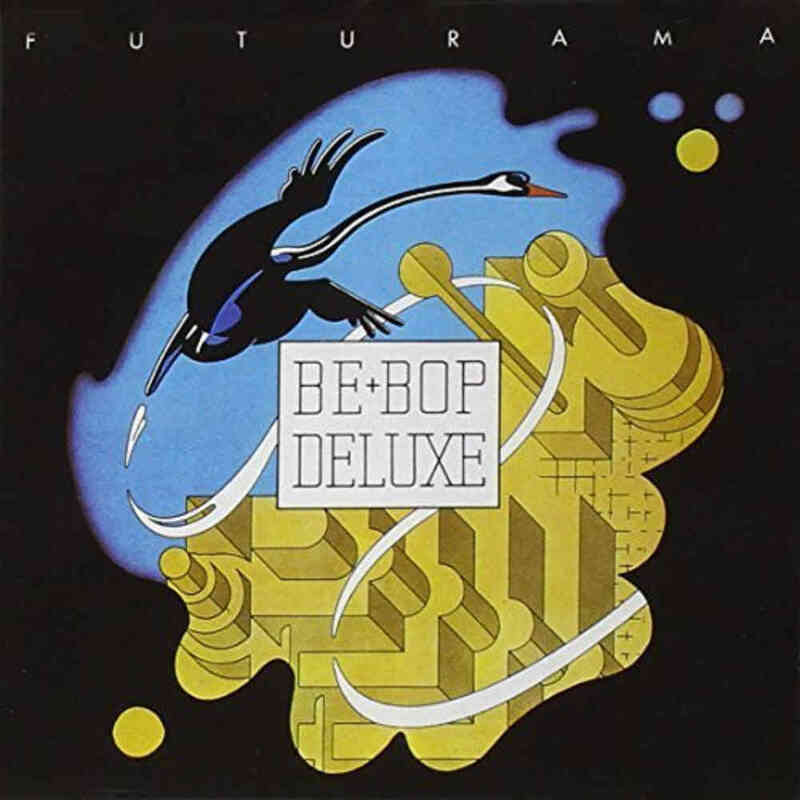 Recorded in the first two months of 1975 at Rockfield studios (with some sessions also taking place at SARM studios in London), FUTURAMA was the second album by Be-Bop Deluxe and the first to feature the line-up of BILL NELSON (vocals, guitars, keyboards), CHARLIE TUMAHAI (bass, vocals) and SIMON FOX (drums). Produced by Roy Thomas Baker (who at the time was also working with Queen), FUTURAMA was an album of immense musical inventiveness and creativity and was a huge leap forward in creative terms for Bill Nelson. 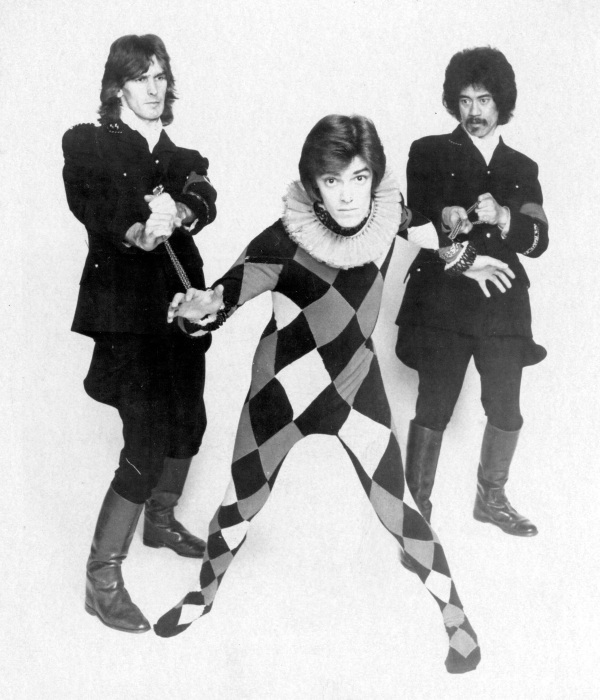 The album gained much praise thanks to Bill Nelson’s composition skills and his highly innovative guitar playing. 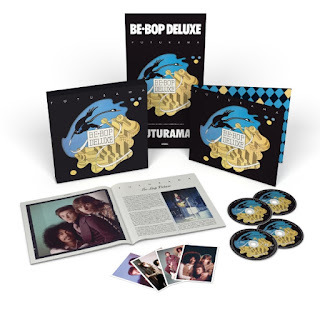 Featuring such wonderful material as ‘Maid in Heaven’, ‘Sister Seagull’, ‘Music in Dreamland’, ‘Sound Track’, ‘Between the Worlds’, ‘Jean Cocteau’ and ‘Swan Song’, the album would see Be Bop Deluxe heralded as one of the most accomplished acts of 1975. This expanded reissue has been newly re-mastered from the original master tapes and features an additional 36 bonus tracks drawn from a stunning new 5.1 surround sound & stereo mixes from the original multi-track tapes by award winning engineer Stephen W. Tayler, a previously unreleased out-take from the album sessions, a previously unissued BBC Radio “In Concert” performance from May 1975 (thought “lost” for some years), a rare John Peel Show session from March 1975, along with a previously unreleased 1975 Harvest Records promotional video for ‘Maid in Heaven’ and a session for BBC TV’s “Old Grey Whistle Test” show from July 1975. Another highlight of this limited edition boxed set is the lavishly illustrated 68-page book with many previously unseen photographs and an essay of recollections by Bill Nelson. Additionally, the set includes a facsimile Record Store poster for FUTURAMA, replica track sheets, and postcards. This special deluxe limited edition boxed set of FUTURAMA is a fitting tribute to a fine band, the creative vision of Bill Nelson and a wonderful album.